The weather the last few days has been crazy. From warm sun and sitting outside having lunch on the balcony to a hard frost, sleet and hail showers and then back to sunshine. Well _ guess it IS April and it is living up to its name. It is the last Japan page for the album of our most recent trip and used up the last of the gorgeous Kaisercraft papers. And thanks to Facebook friends, the issue with my Silhouette is now fixed. I know social media gets a lot of bad press, but I love it and Ibelong to lots of very supportive - and fun - communities. scrapping time - though I miss Nij when he is out. 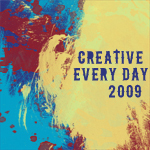 There has been little new scrapping that I can share over the last couple of days. I have been busy living (and working) making those memories to scrap so haven't done much scrapping ... well at least not things I can share just yet. So I have some older scrapping that I wasn't able to share until now. A little while ago I was invited to guest design for Charmed Cards and Crafts. I was thrilled to have been asked and had such fun making projects for Karen and her store. I had such fun playing with it making such a collection of pages. I loved that there were blues and greens and brights and then also more subtle things. I added nothing to these pages - no extra embellishments, just the papers an stickers included int he kit - and quite a lot of fussy cutting. I won't bore you with all of them today - I will split this over two posts as it will be quite picture heavy and heck - that's tough! This was one fo the first I made. I loved the colours that were in the collection and this page used a mess of fussy cut flowers from one of the papers. 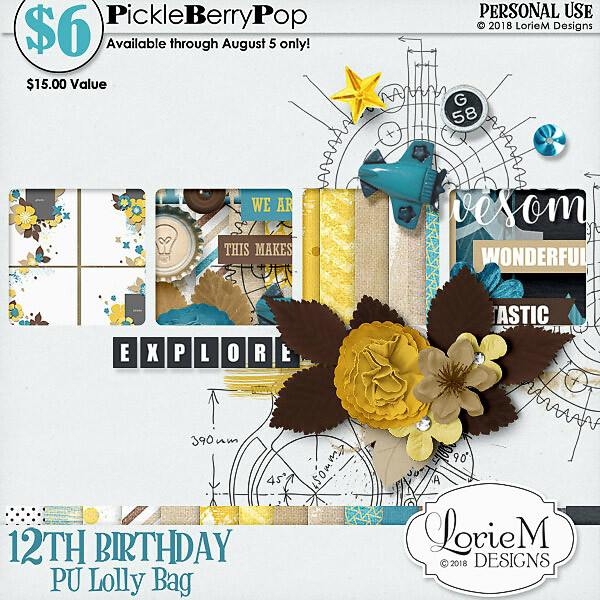 It is Pickleberrypop's birthday today and there are amazing -a nd I mean amazing - birthday deals all over the store. The designers have released their annual Lolly Bags - goody bags full of stuff that is at bargain price. Oh my goodness - it really is like being a kid ina candy store. Today I am thankful for great stuff to scrap with I love being part of the PBP team. Had to be the boy really, though the colours were very pink. But then he has a very strong feminine side!!! But this is a paper page I made this week too. One of the things we really wanted to see when we were 'deep south' was a bayou. We had to look for it but were pleased we found it. What made us laugh were the signs though. There were signs to warn of alligators crossing (sadly we didn't see one but I looked awfully hard) and then immediately following were signs for gator sausage. Clearly not all of the alligators made the crossing!!! Nigel completing a very major job he had on. and I couldn't resist sharing these near misses. We have had a good few days and I have done my first solo calls - they were actually Nigel's calls but I did them and I thoroughly enjoyed them. I don't want to make too much of a habit of working, but it was kind of fun! Not bad eh. Do I miss working 14 hours a day under stressful conditions and a lunch grabbed at my desk with endless interruptions. Would I prefer that to working four hour with my husband, chatting away and having a picnic by the sea. Um ... no! Very happy thank you! We had two goes at seeing Half Moon Bay - once in 2001 which had to be abandoned and once in 2016 on our road trip. It was still a bit foggy but not the sheet gut-wrenching terrifying the previous trip had been. It was the worst fog we have ever been in and we bailed out. Another page for the Wow America tour album - which is actually now 4 albums!!! I used to know what busy was like - I really did. These days it doesn't take much to make me think I am busy. I was out of the house by 9 - dashed back to swap bags over to collect art stuff and grab an apple and then dashed out again and have been 'busy' most of the day. Busy doing nice things but busy none the less. Still it is Thursday which means it is the weekend now! I had fun at art with a completely new style but it is nowhere close to being finished yet - but I am having fun and have added gouache to my steadily growing art kit! 2016 was most definitely the year of the gorgeous sunsets - although now it is getting dark earlier I shall try and capture the sandbanks sunsets again. The trouble is they are just so lovely you end up taking a whole heap of pictures all of which look exactly the same. I also have another LSNED page to share - I am doing them in pairs so it is a little disjointed. the sat nav in my car - I rarely use it but it was great today. It's not a true sat nav it is Apple Car Play Nigel had fitted for me so Siri controls everything which is pretty cool. Friday is always 'date day' where we try and do something special. It might be something special at home - we love being at home - or it might be out. Yesterday it was out. We met one of my oldest friends for coffee and a catch up before she heads back out as a missionary. Then, on the spur of the moment, we decided to go to the cinema to see The Dark Tower which was OK ... not great but not a total waste of time. Then, as we were there, we went to Pizza Hut for some dinner. All in all a lovely day. 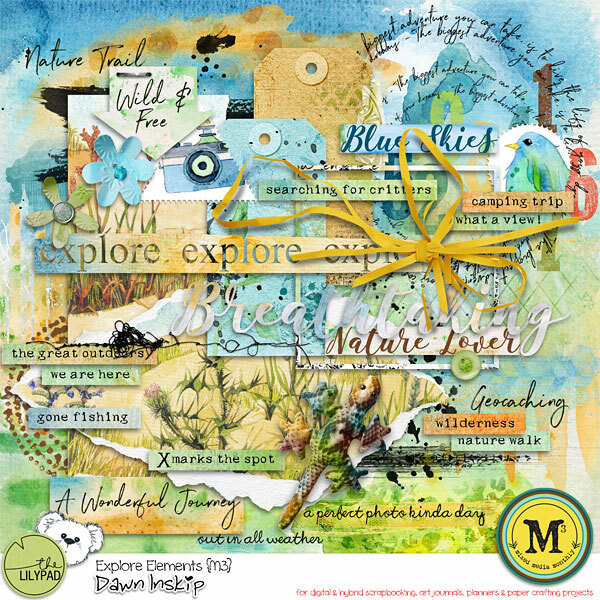 Today I have been scrapping as there is a cyber crop on at ATDML and I have had such fun making pages which I will share in due course. I also want to share my second page made for the Shimelle Magical Scrapbook class - it was another challenge - a double page and I don't really do double pages. It shows a sequence of photos when Nigel met Mickey. dedicated scrapping time and challenges - I do love a challenge. The last couple of days have been bright and sunny, though there has been a chill int he air in the evenings. Yesterday we went to see Atomic Blonde at the cinema. we had tried to see it on a very wet day last week but the car park at Tower Park was the busiest we had ever seen it - even Tesco was full to bursting - so we went for a second crack at it and it was very good - though a little hard to follow and a little too violent for me. We did a quick job in Verwood which meant we had a nice drive there and back. Today we have been for a walk round Poole - just never get enough of our home town - and a bit of a chill with the fur babies on the balcony. my family - fur and skin alike! Looks like they spilt dinner on their new white shirts! Yesterday we saw old friends and we did today as well. We had a visit from one of my oldest friends ... let me qualify ... she is not old ... she can't be as she is the same age as me. I mean oldest in terms of longevity. We have been friends since we were 11 years old (not long then!) and we are both god-parents to both of her children and it is her son, our god-son, who is getting married in a few weeks and Nigel is best man. I was lovely to have a proper catch up as she has been out of the country for a long time working as a missionary. 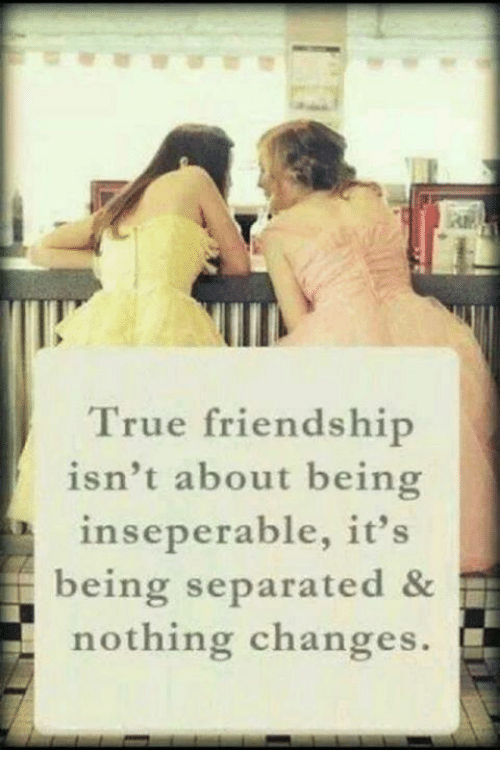 A true friend means that the bond is tight even when you don't see each other. I also managed to do the weekly challenge on UKS which taxed me. It was to use a large shape and only hand made embellishments. Well that Bank Holiday didn't quite pan out as expected. It started OK but Sunday am at 8.00 we had a call from the hospital to say could we collect Nigel's mother. We didn't even know she was in there. She had called Care Line as she felt unwell and we hadn't heard the phone. Thankfully there was nothing wrong with her but she'd had another health check and was able to come home and we were able to get her settled back in. But it kind of threw yesterday. I set up in the church ready for the week long art festival and other than that we had a pretty quiet time. Thankfully the heat is less oppressive which has perked the cats up a little. We have also got used to the new sofas - it takes a while to sit somewhere new after so long. I will be glad when the renovations at hoe are finished but the end is almost in sight. This was the defining picture of our road trip last year - Nigel int he driving seat, frap in hand, laughing and having such fun. We so love our road trips. Oh and we were at a level crossing - he wasn't drinking and laughing like that whilst actually moving.